Inspiring Every Child’s Musical Journey through Diversity, Progression and Inclusion. We are a not for profit service, part of Slough Borough Council's Education and Children's Services and funded by central government. 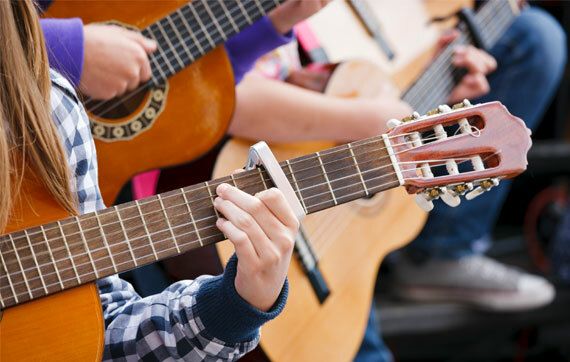 We provide music lessons, training and events in and outside school for children and young people in Slough. We are proud to work with the children, young people and staff in Slough's schools, and with those in the community, to provide enhanced music services for all. £82 per term for group lessons. Already play an instrument and want to join a band, orchestra or choir? Do you play an instrument, sing or want to drum? Then join the SLOUGH MUSIC CENTRE at Beechwood School from 3.50pm - 6pm on Thursdays. Come and try it our for FREE! We are pleased to announce that our lesson and instrument charges are to remain the same for the forthcoming academic year. Our hub partners, Sinfonia Verdi worked with Ryvers Primary school in the autumn term and have made a short 3min film of the Roots of Fire project.